Dancers interested in this option should see the above link for a PDF of all of the JUNIOR PERFORMANCE TEAM requirements. This TEAM is for 7-11 year olds. We will make exceptions for 6 year olds on a case by case basis. Synergy Dance Academy recognizes that dancers and their families are very busy with school activities, sports, school dance teams, community programs and family obligations. The reality is, we can’t do it all. For this reason we offer a TEAM option for dancers who would like a little more from their dance training but just can’t commit to a standard studio dance team. 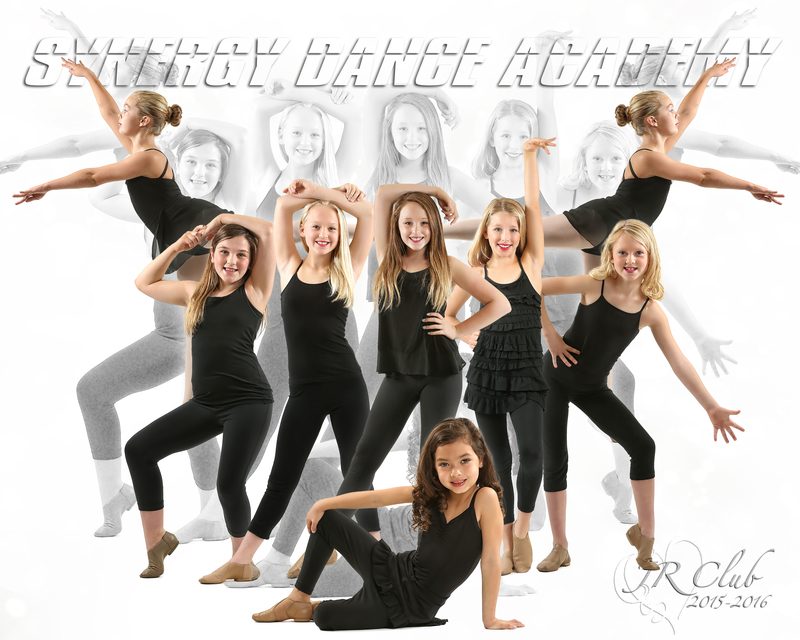 The Synergy JUNIOR PERFORMANCE TEAM’S time and cost commitment is considerably less than the JUNIOR COMPETITIVE Team but still pushes the dancer to work toward a unified goal with other dancers. JUNIOR PERFORMANCE Members will ONLY participate at local competitions and will not be required to travel to any away conventions/competitions. Dancers will still enjoy the same level of expert training that ALL members of Synergy Dance Academy receive.